The perfect accent can turn your wedding invitation into a beautiful reflection of your style and personality. We offer a unique collection of belly bands for invitations. Check out the incredible variety of designs available, most of which may be personalized with your special details. Adding a belly band to your wedding invitations will result in that perfect finishing touch you’ve been looking for! 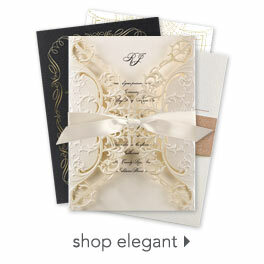 If you’d like to shop other wedding invitation accents, check out DIY Wedding Ideas. You’ll find gorgeous accompaniments for your invitation ensemble.